Back to Earth has developed a free, online wood fibre insulation course. 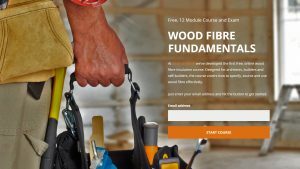 Designed for architects, builders and self-builders, the course covers how to specify, source and use wood fibre effectively. To take the course, visit woodfibreinsulation.co.uk.